Meet the Chanel and Christian Dior of Japanese cuisine. We have heard of Chanel, Christian Dior, Giorgio Armani in haute fashion.. but how much do you know about Japanese haute cuisine Omakase and Kaiseki course? For those who start scratching your head wondering what omakase and kaiseki are, this post is for you. For those who are familiar with these terms, read on to find out where to get these hard-to-find cuisines! Omakase means "I'll leave it up to you” in Japanese. It differs from ordering à la carte; you are entrusting the chef to serve you the best he could offer. 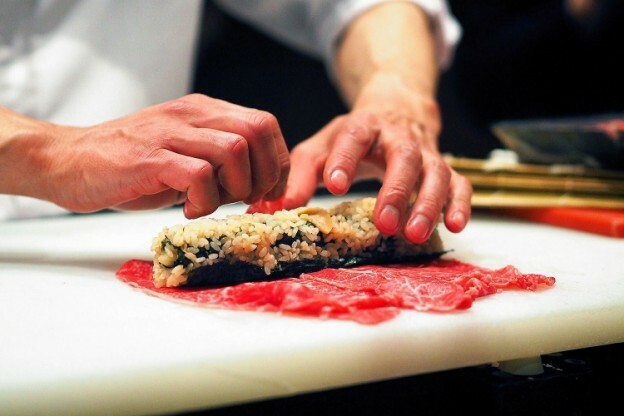 Customers ordering omakase style expect the chef to be innovative and surprising in the selection of dishes, and the meal can be likened to an artistic performance by the chef. Ordering omakase can be a gamble (well, life is always a gamble! ), but the customer typically receives the highest-quality fish available at a lower cost than if it had been ordered à la carte. Kaiseki, on the other hand, is equivalent to a multi-course Western haute cuisine. It is an appreciation and collection of chef’s skills and techniques that allow the preparation of such meals, even the dining ware and vessels are part of the kaiseki experience! In the present day, kaiseki is a type of art form that balances the taste, texture, appearance, and colours of food. Only fresh seasonal ingredients are used and are prepared in ways that aim to enhance their flavour. Finished dishes are carefully presented on plates that are chosen to enhance both the appearance and the seasonal theme of the meal. Dishes are beautifully arranged and garnished, often with real leaves and flowers, as well as edible garnishes designed to resemble natural plants and animals. 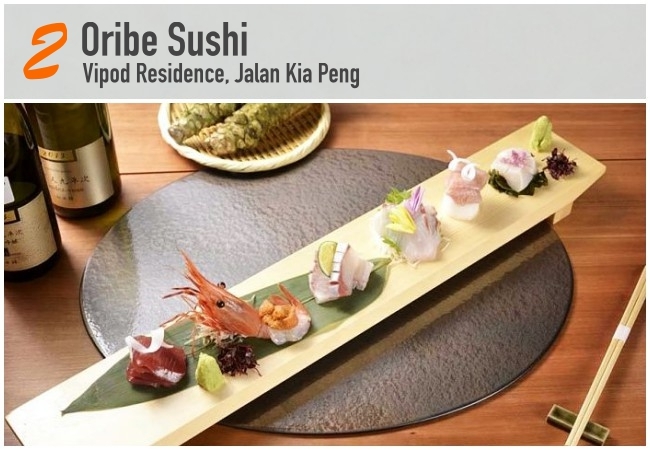 Omakase and Kaiseki style Japanese cuisine are rare to find in Malaysia, as locals are yet to appreciate the haute cuisine and also, the pricing factor. However, if you are keen to try (YOLO, perhaps? ), here’re the top restaurants that offer the best Omakase and Kaiseki. 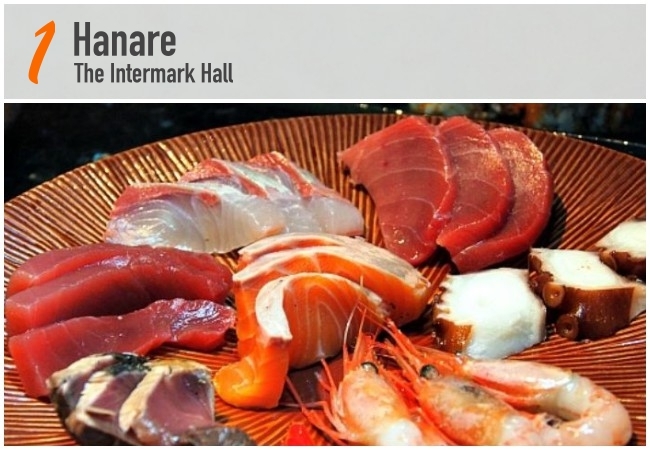 Hanare prides themselves in offering quality authentic Japanese cuisine. They provide some of the best and freshest seafood air flown direct from Japan depending on the season's specialty offering. Favourites such as the divine Hon Maguro (Fresh Blue Fin Tuna), the rare cut of Tai (Fresh Red Snapper), Nama Awabi ( Fresh Abalone ) and other choice seafood depending on its season will be imported direct from Tokyo's famous Tsukiji fish market to give you that unique flavour and dining experience. Hanare is well known for its 9-course Dinner Omakase. The restaurant offers Kaiseki set as well – 7-course Hiru Kaiseki available during lunch hour and 8-course Dinner Kaiseki available at night. Oribe Sushi’s elegant atmosphere provides the perfect place for a fine dining experience. The warm interior tones laced with ambient lighting exude quiet relaxation. Stylish and contemporary décor set the mood for dining with a difference. Amid this calm atmosphere, diners will delight at discovering a menu refined in quality and rich in tradition. Oribe Sushi do not use sugar for sushi rice, and provide hand-made ginger, wasabi selected by master chef and aims to redefine the sushi dining encounter, transforming quality raw ingredients into distinctive tastes while remaining culturally true to its origins. Oribe Sushi offers Omakase course, for both lunch and dinner. Free car parks are available for customers at first-come-first-served basis. In Japanese, "TEN" translate to heaven. A name that aptly describes the exclusive fine dining experience reserve for the select few. 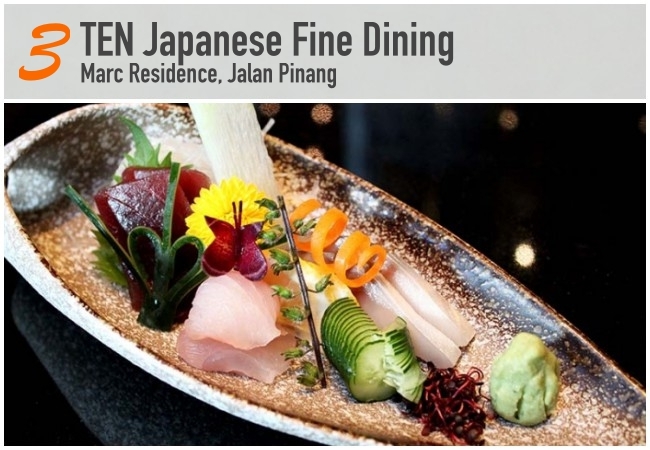 Since opening doors in Kuala Lumpur, Ten Japanese Fine Dining has earned multiple awards and rave reviews among VIP guests and discerning dinners for the exquisite dining experience they offer. They ensure that seasonal ingredients from Japan retain the tradition of Japanese cuisine, and international and fresh local ingredients help to accentuate a contemporary style. Have a supreme authentic Japanese fare at Ten’s 8-course Dinner Omakase, for it will bring you the very essence of Japanese Fine Dining. A culinary destination where modern Japanese cuisine is elevated and fused with Italian flavours and touches. Explore the Omakase, a daily special, tastefully selected and created specially for diners. All the fishes at Manmaru Robatayaki are air flown in from Japan weekly and once sold out, you will need to book them ahead to secure your catch. 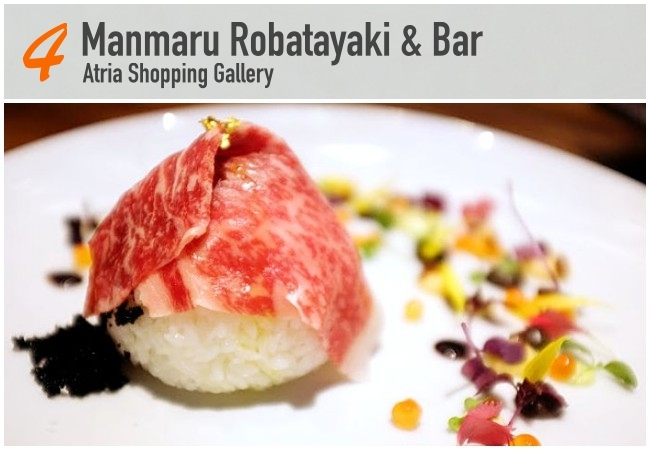 The Omakase Course at Manmaru Robatayaki is designed for 2 pax. It is recommended to book in advance to avoid disappointment. 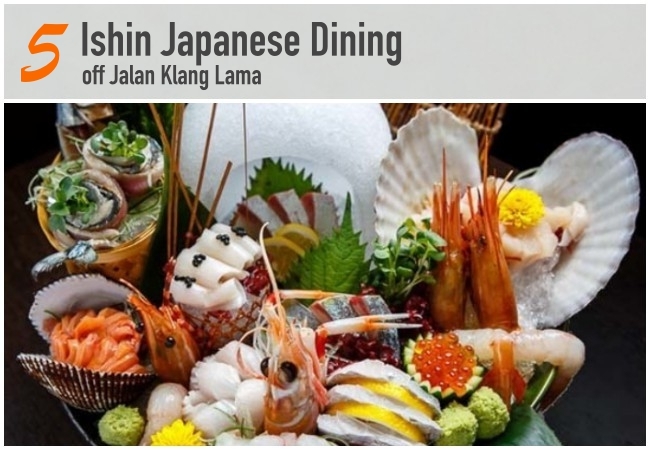 Ishin is well known for its genuine Japanese and Kaiseki style cuisines that are cooked to order. The meals are prepared freshly using ingredient imported from Japan's famous Tsukiji fish market with the finest ingredients of the season. Ishin's Kaiseki cuisines reflect the four seasons of Japan using imported seasonal ingredients aimed to enrich the final taste using a harmonious blend. They are also intricately decorated to perfection to reflect the seasonal theme of the meal. Using sheer craftsmanship and skill set, Ishin's chefs will arrange and prepare sublime Kaiseki six to twelve multi-course meal.